Flush with the success of their self titled debut record, by mid 1970 Black Sabbath were in the midst of writing and preparing material for their second full length LP to be released in September 1970 and would be titled Paranoid. Known recording sessions took place between June 16 – 21, 1970 and were done between live dates in England and a short tour of Germany. 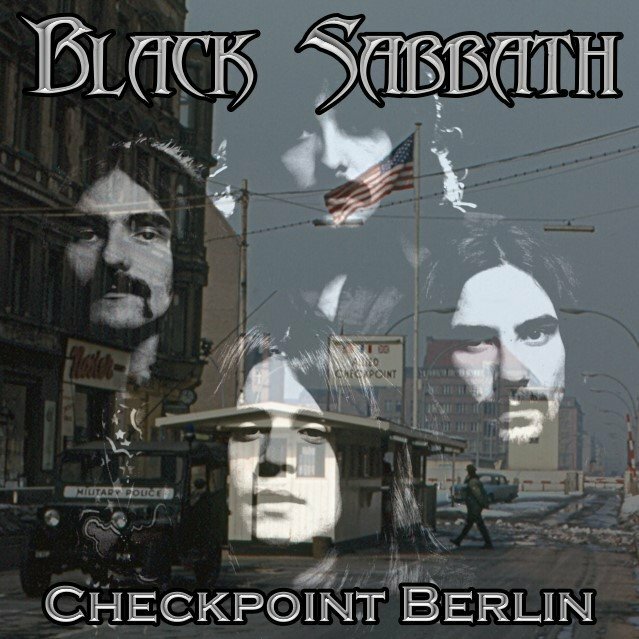 Like most bands back in those days, what better way to hone new material than in front of a live audience and by this period Black Sabbath were actively playing new material live. 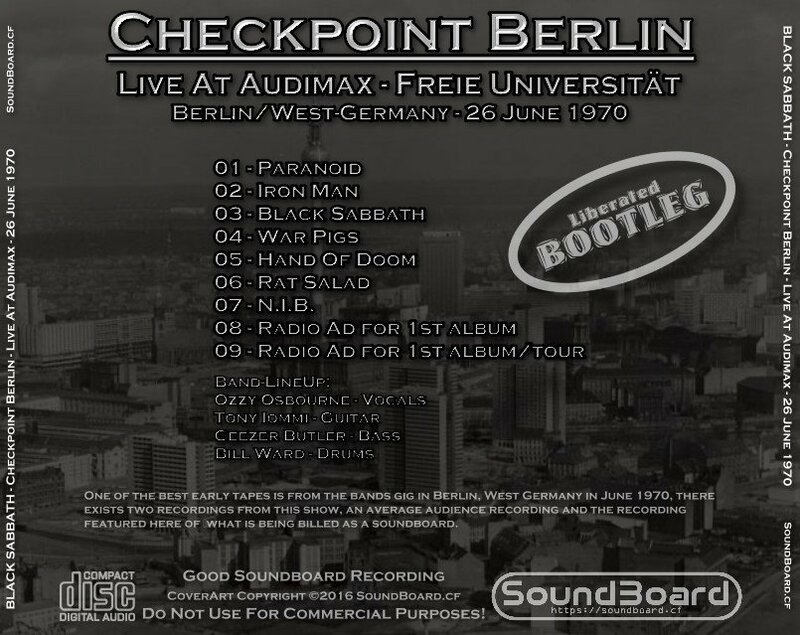 Thankfully for us there are recordings from early in Sabbath’s career, one of the best early tapes is from the bands gig in Berlin, West Germany in June 1970, there exists two recordings from this show, an average audience recording and the recording featured here of what is being billed as a soundboard. It is indeed an excellent sounding document, not as clean and pristine as the Montreux 1970 show it is clear and well balanced and at times there is slight distortion present in the upper frequencies but all three instruments and Ozzy’s vocals come through clearly. I am guessing that this is not the complete gig as circulating copies of the audience source have “Fairies Wear Boots” and “Wicked World” after “N.I.B.”, and many of the songs have fades between. The recording begins with Ozzy stating they are starting off with a new song that will soon be released “Paranoid”. Musically complete the song does have different lyrics, only the beginning lines are what would eventually be used, the rest are somewhat disjointed sounding. Simple and straight forward the band are extremely tight in their playing. After the applause and a quick fade Ozzy introduces “Iron Man” and the song features Bill Ward keeping time through out Tony’s downturn note prior to the man riff being played and this version does not have the “I am Iron Man” intro lyric. As with all the new material, save “Rat Salad”, the lyrics are not fully complete but again the music is very similar to the versions found on the Paranoid record, making perfect sense given the close proximity to the recording sessions. During the bass section just prior to Tony’s solo Ozzy yells out a great “yeah” in response to the music being created, one can only agree. 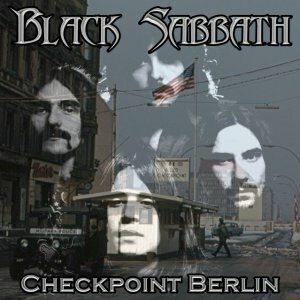 Checkpoint Berlin 0 out of 5 based on 0 ratings. 0 user reviews.